Our daughter was born with multiple disabilities, including epilepsy, cerebral palsy, and GI disfunction. She was in a wheelchair, and always depended on tube-feeding and diapering. At the same time, she was always smiling, giggling, and wearing pink Hello Kitty clothes and giant hair bows. In early 2011, we were told by our local Children's Hospital, where Emily's care had been since birth, that she was running out of treatment options. Her GI tract had shut down completely and she was relying more and more on medical interventions. They recommended either putting her on hospice, or trying to get her admitted at UCLA Medical Center. We of course took her to UCLA. Unfortunately there was no cure for our daughter's medical conditions, but every doctor and nurse at UCLA was incredible. We were able to have an entire year longer with our precious girl, thanks to the care and dedication at UCLA. 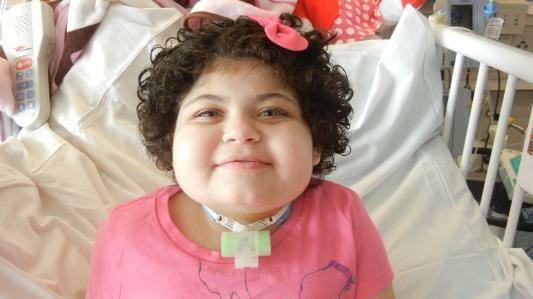 Emily spent over 200 days inpatient over her last 12 months of life, the majority of that time at UCLA. We came to feel at home on 5 West, and knew all the nurses and doctors, as well as became very friendly and familiar with other "chronic patients". Our hearts were broken in April of 2012 when there was nothing else that could be done to help ease our sweet Emily's issues. We made the impossible decision to bring her home from UCLA on hospice, where she passed away surrounded by family on April 16, 2012. We are eternally grateful for the care, dedication, and love shown by UCLA Medical Center and it's team. Everyone from transport to xray to the ER parking attendants recognized our Emily and smiled at her in greeting. 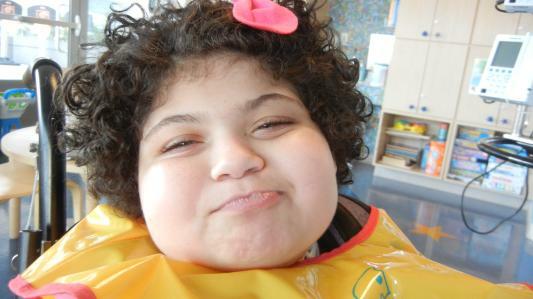 Child Life was a HUGE help in making her hospital stays more bearable and fun. We can never thank UCLA enough for giving us the last year of our daughter's life.